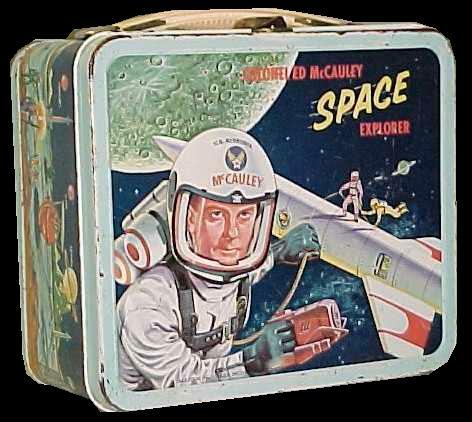 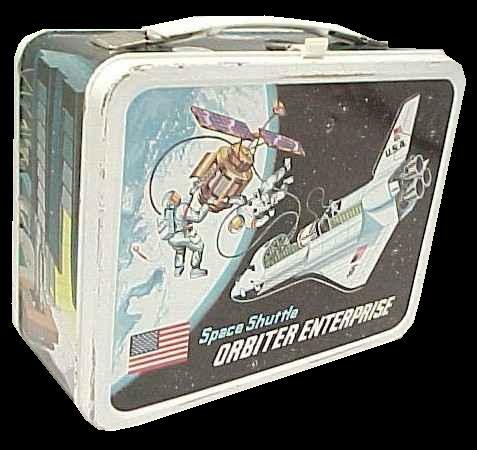 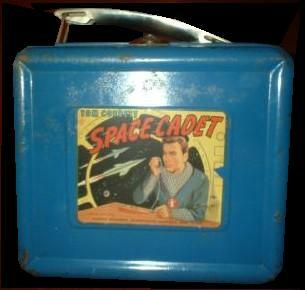 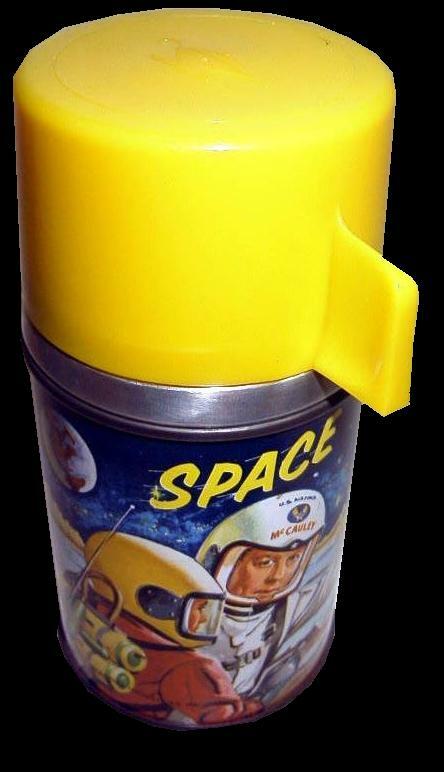 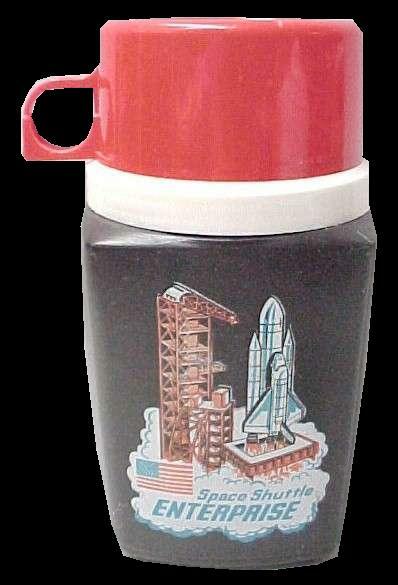 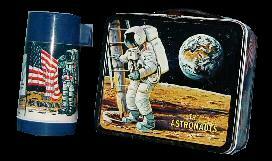 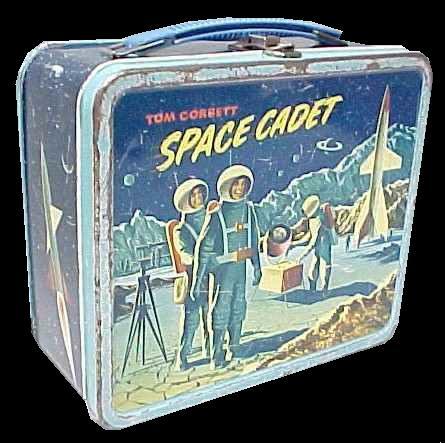 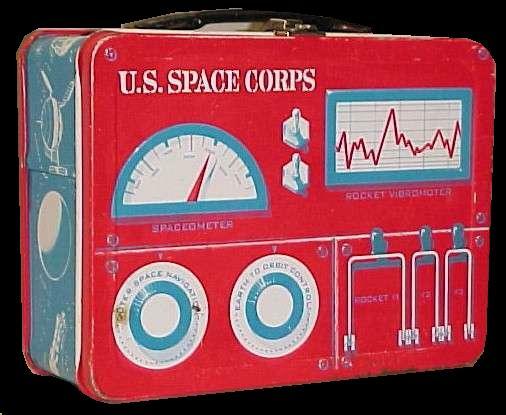 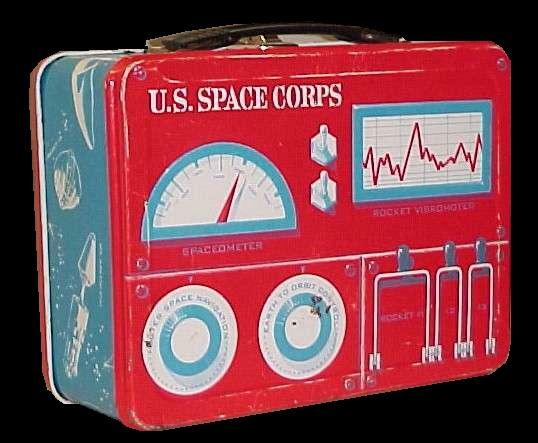 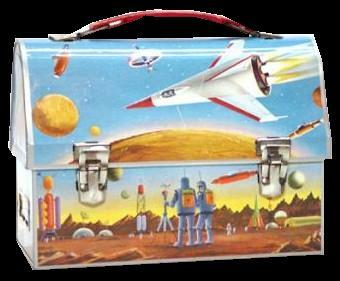 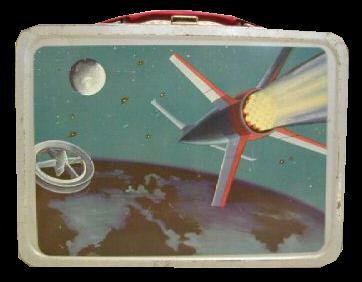 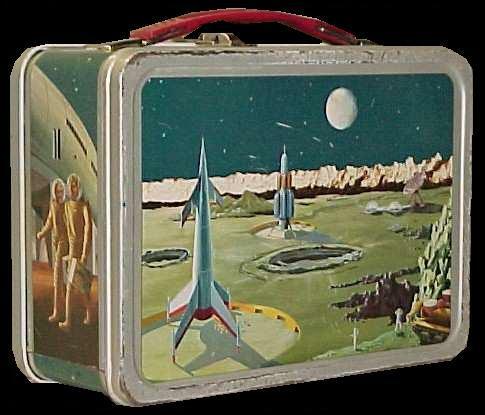 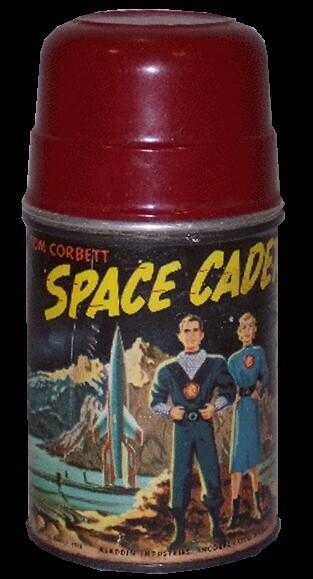 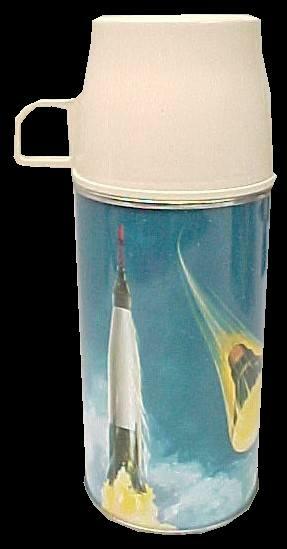 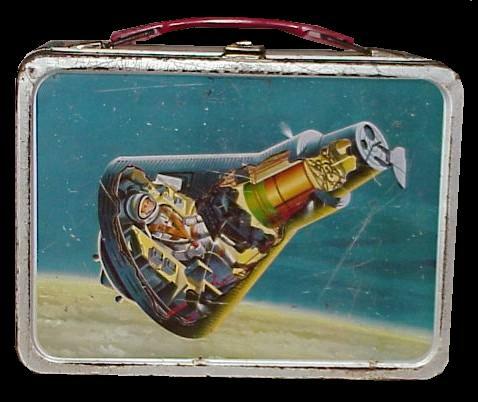 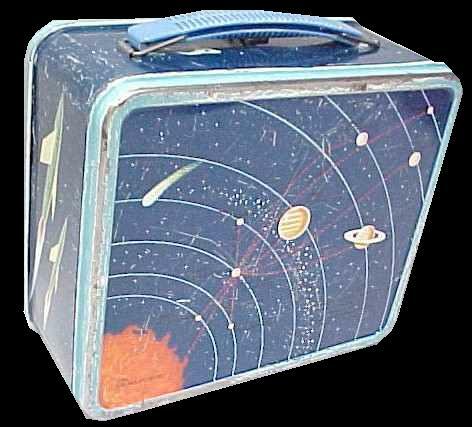 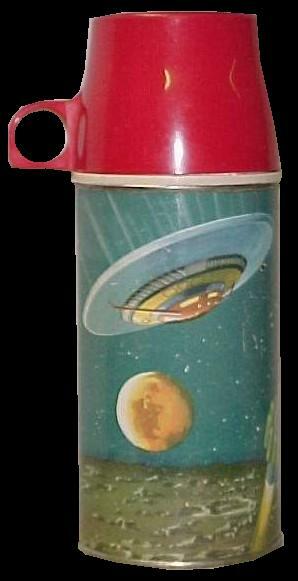 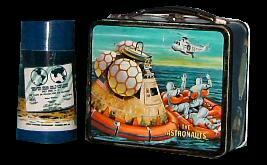 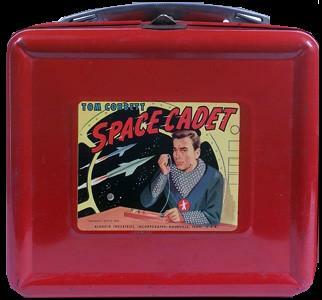 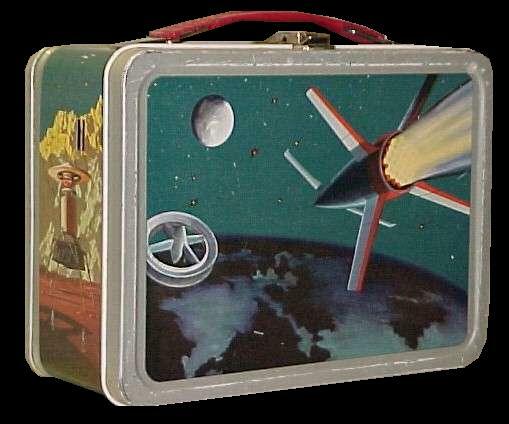 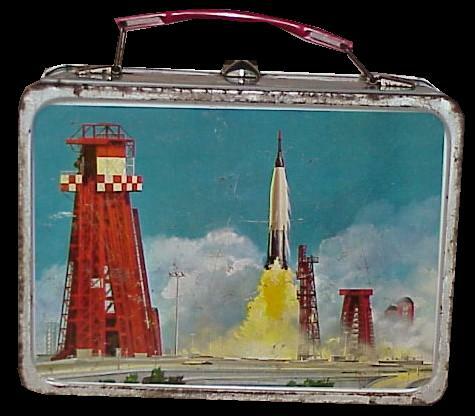 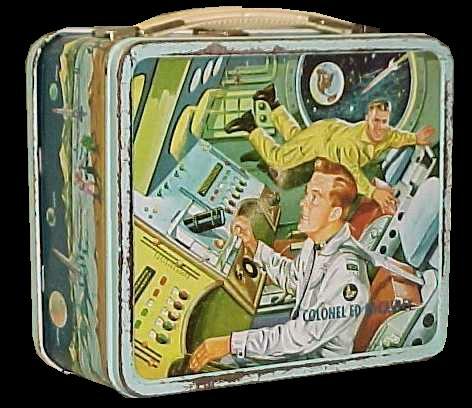 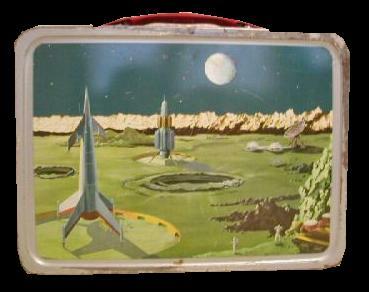 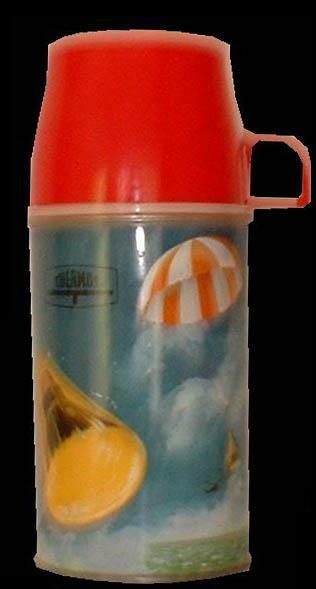 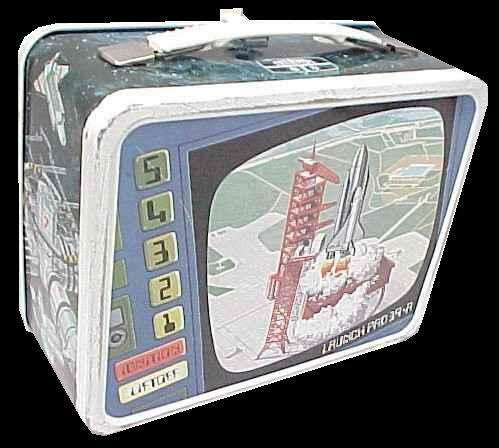 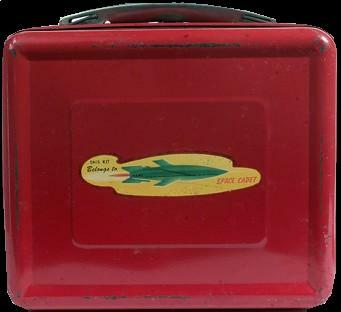 Surprisingly, there were few lunchboxes adorned with space themes. 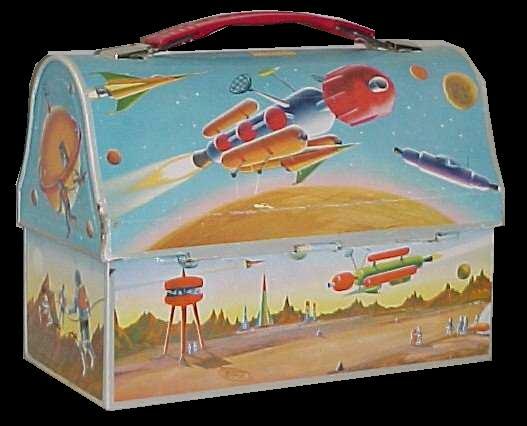 Production of this box was quickly stopped due to the unautorized use of a National Geographic illustration. 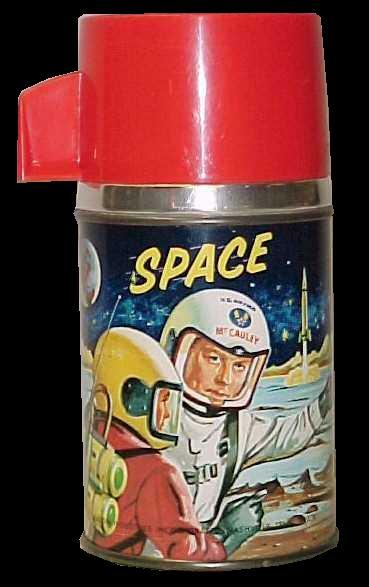 I collect tin toys, wind-up rockets and space capsules, board games, and action toys (helmets, badges, watches).